Cats Slots Game by IGT - Take a FREE Pokies Spin Right Here. The internet has endless opportunities for slot game enthusiasts. Everyone is taking their business online, and so are IGT. To be able to continue connecting with their customers, IGT has created yet another online game called Cats. The game designed around the theme of Wild Cats is a 5-reel, 30-line slot game that allows you to enjoy gaming on the internet from any location in New Zealand. The game accepts a maximum of $10.00 per line. Players can continue to enjoy winning this game as they have previously won with all of IGT creations. There is a slight difference though, the game is better. The game contains more opportunities for winning such as split symbols, scatters, wilds, and the free spin bonus rounds. You will not get these opportunities with other online slot games. Nothing beats the fast speeds loading and the game’s compatibility with both Mac Computers and Windows run device systems. represents your high chances of winning big. When they match right, you get to win big. In addition, the game has included the poker card values of Jack, Queen, King, and Ace. The Cats Logo symbol pays the highest except when you play Scatters where the Paw Prints give the highest winnings. IGT pays attention to make sure that you continue to enjoy the game even more. The game now has features that allow you to play and do something else at the same time. It does not have to take all your time. 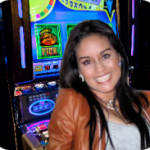 With the Auto Play button, IGT has made it possible the player to schedule 10 to 50 automatic spins. Therefore, when you need a break while playing, you can press the Auto Play button and do something else. The winnings are automatically added to your account as well. IGT has included the Splits Symbols feature that allows you to win much easier. For example, every cat either appears as a single cat or as double cats. Therefore, you win by the total number of matching cats on a line and not symbols that match on a line. The double symbols pay the highest. When you get 5 paw prints or more on reel number 23 and 4 you will win yourself Cats Free Spins. Paw prints also appear as single or double, which means that you win by the number of Paw Prints and not the number of the symbols on the reels. For example, to win two times your bet, you will need to score four Paw prints on reel 2, 3 and 4. A free Spin mode is activated when you win five Paw Prints. When you win a Free Spin mode you are rewarded with five free spins. And that is not all. Scoring six Paw Prints on reels 2, 3 and 4 will double the number of free spins to 10. When playing free spins, the buttons remain inactive. The pay lines will remain the same as the ones in the round that triggered the Free Spin mode. You lose the bonus round when you run out of free spins and also when you win the top prize of 10,000. Another feature in the game is the Split symbol feature that represents 2 symbols when included in a winning combination. To win, the combinations must align from left to right except for scatters that win either way.